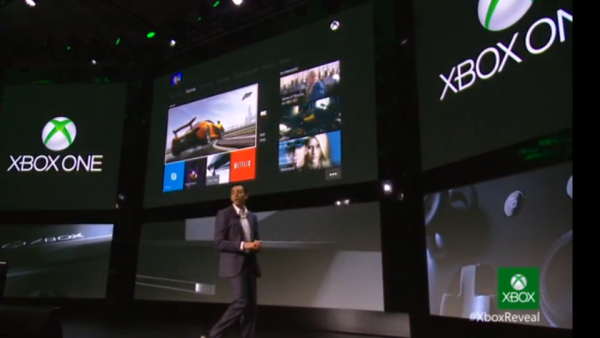 The Xbox One was announced today and new details about a cool new interface tool. It’s called snapping and you can do multiple things at once while playing games or watching TV. The way it works is say you’re watching a TV show or playing a game. You’ll say ‘Xbox, snap Internet Explorer’. On the right side, you’ll have a mini-brower opened up, eliminating having to switch through a guide. All with voice commands through their new Kinect. You can even have a Skype chat while watching a movie with Snap Mode. Sounds pretty rad compared to 2005’s original blades concept to 2010’s Kinect. Let us know in the comments what you think or post in our community.